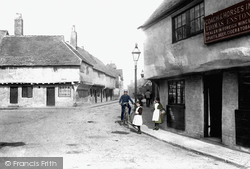 This selection shows healing wells and spa towns; elderly residents of an almshouse; an early chemist’s shop and a travelling ‘street doctor’. The selection moves into the 20th century with some poignant views of military hospitals from the First World War and patients at the sanatoriums which treated people suffering from tuberculosis, that great scourge of the past, and then moves on to post-1948 views of nurses and patients. 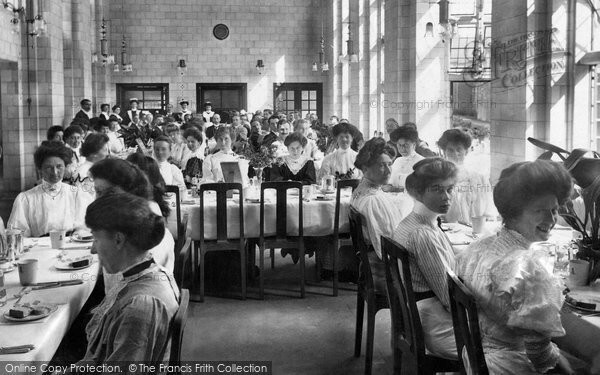 Photo: Midhurst, King Edward's Sanatorium, Dining Room 1907. It is said that in Saxon times the spring at Upwey was renowned for its healing powers. George III, whose visits made nearby Weymouth a fashionable watering place, often came here to take the waters. A special gold cup was kept for him to use ‒ the cup was later presented to Royal Ascot as a trophy. Later, in Victorian times, the spring became a successful commercial enterprise by becoming a wishing well. Two village ladies (is that one of them on the left in the above photograph?) were employed to hand out glasses and encourage visitors to wish ‒ and to pay for the privilege! 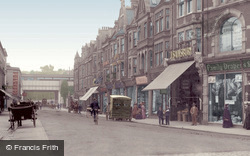 The little arched building was erected in 1887 to commemorate Queen Victoria’s Golden Jubilee. 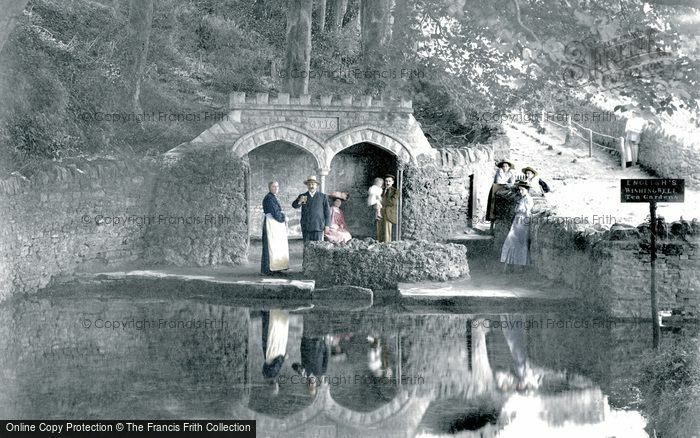 Photo: Upwey, The Wishing Well c.1897. 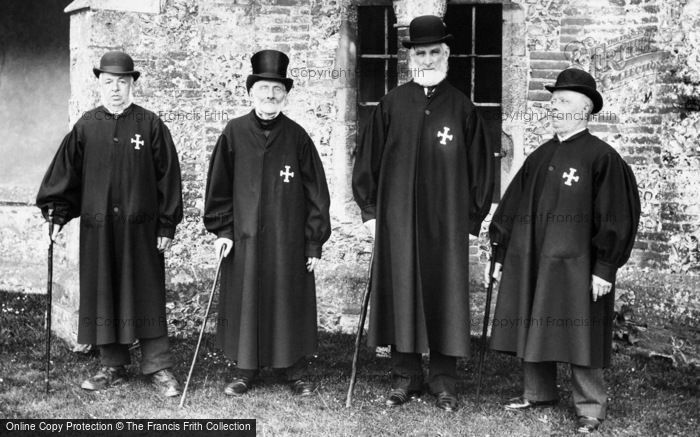 Photo: Winchester, The Brethren, St Cross Hospital 1906. The Pump Room was constructed in 1842 over the sulphur wells. Now it is a fascinating museum, where visitors are encouraged to sample the health- giving water. 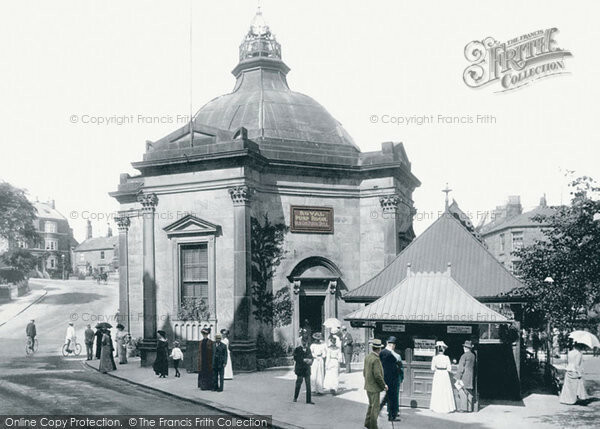 Photo: Harrogate, Royal Pump Room, Old Sulphur Well 1902. A nurse plays the piano in the background, whilst boys on crutches sing. A child on the right has a reading lesson and a caged parrot is in the left foreground. 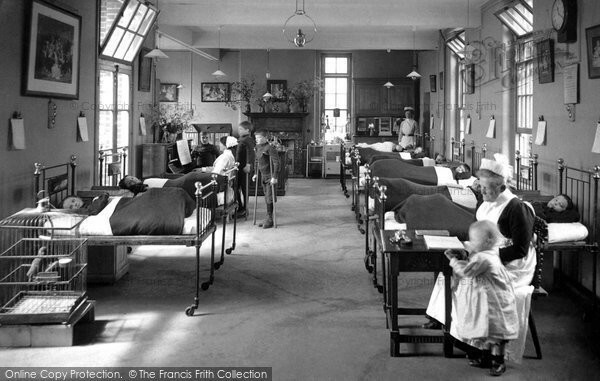 Photo: East Clandon, Alexandra Hospital 1913. 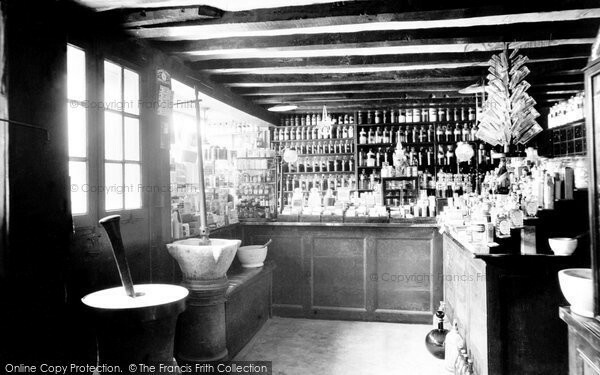 Photo: Knaresborough, The Old Chemist Shop, Interior 1914. Shortly after the outbreak of the First World War in 1914, the War Office commandeered part of the grounds of Woodcote Park for training purposes and erected a large encampment. By spring of the following year this had become a convalescent hospital for Commonwealth troops, and in August 1916 it was handed over to the Canadian army. The ambulance in the centre of the photograph has the identifying word ‘Canada’ inscribed on its side. 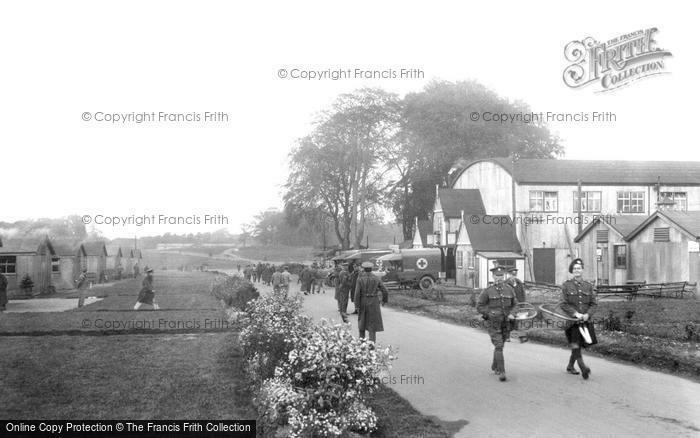 Photo: Epsom, B Division, Woodcote Park 1917. The spartan nature of a hospital ward contrasts starkly with its palatial surroundings. The ballroom is rich with plaster decoration and has a particularly fine ceiling. 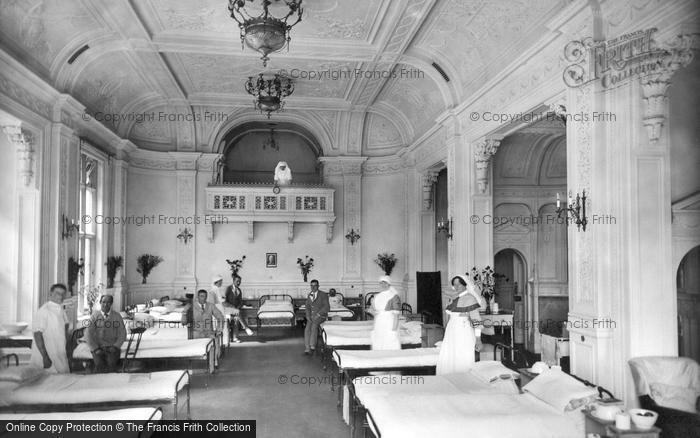 Photo: Frensham, Military Hospital, Ballroom Ward 1917. In 1931, the widow of Stafford Bourne (the son of one of the founders of Bourne & Hollingsworth’s store in London) sold Garston Manor to Benskins the brewers, who transferred it to the North West Metropolitan Regional Hospital Board. 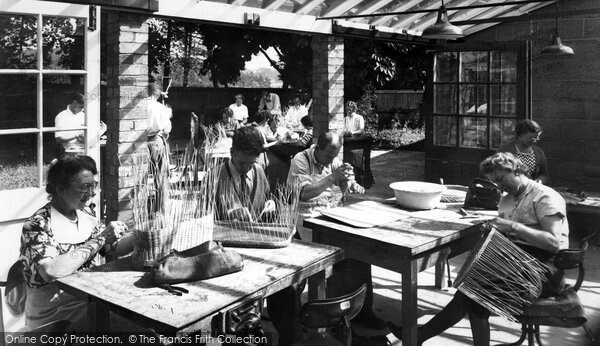 The Board converted the manor into a medical rehabilitation centre to accommodate men and women between the ages of sixteen and seventy who were recovering from physical disabilities resulting from injury or illness. 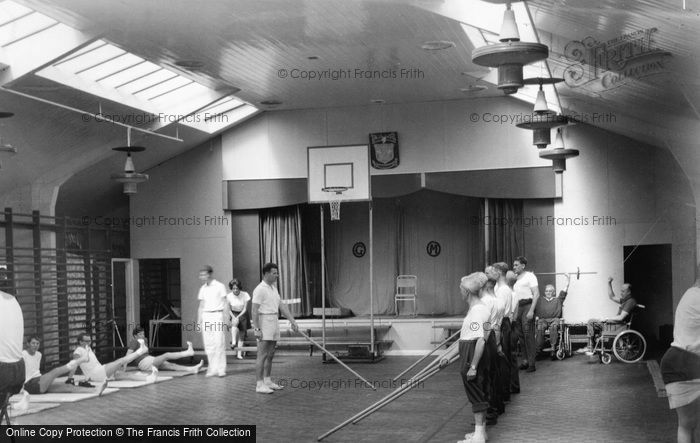 Photo: Garston, Manor Gymnasium c.1955. 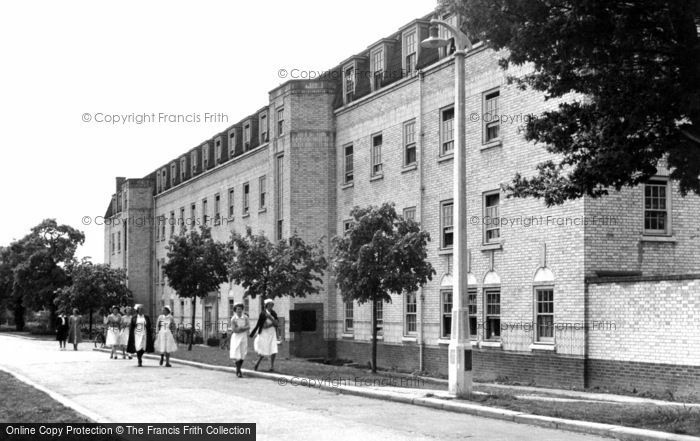 Photo: Wickford, The Nurses Home At Runwell Hospital c.1955. 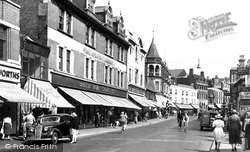 Photo: Farnham Royal, Recuperative Home c.1955. 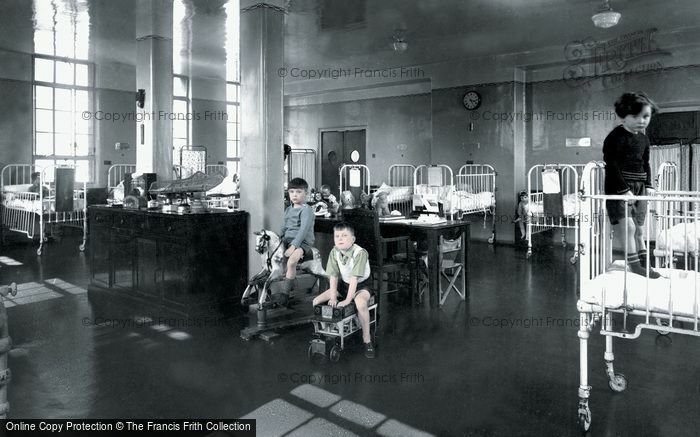 Photo: London, The Princess Beatrice Hospital, Lady Iris Ward c.1950.